Although asbestos was not always known to be dangerous, new revelations are always being discovered. Asbestos most commonly affects builders, electricians, plumbers and all types of construction workers. At the beginning of October, it was announced that HSE inspectors are bringing in a new campaign that focuses on protecting workers’ lungs from substances such as asbestos, wood dust and silica. The inspectors will be visiting various construction sites and businesses throughout the month to make sure that they are doing everything they can to protect their workers’ lungs and the general health of workers. 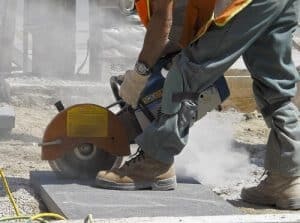 HSE’s chief inspector of construction said: “Around 100 times as many workers die from diseases caused or made worse by their work than are killed in construction accidents.” This demonstrates the importance of regulating asbestos to ensure that workers are not subjected to high-risk dust. “Annually, work-related cancers, mainly linked to asbestos and silica, are estimated to kill 3,500 people from the industry. Thousands of others suffer life-changing illnesses from their work.” Asbestos causes various different respiratory illnesses such as mesothelioma and asbestosis which can proceed to be fatal to the victim. “We want to see construction firms encouraging their workers to firstly keep the dust down and wear the right mask and clothing.” It is important that employers ensure their employees are using the right equipment, to reduce the risks as much as possible. The campaign will be rolled out throughout the month of October and we hope it will improve the way asbestos is dealt with in the workplace. If you are concerned that your site or building contains asbestos then consider All About Asbestos, the leading asbestos remediation company in the Kent area. Contact us today to organise an asbestos survey or removal!